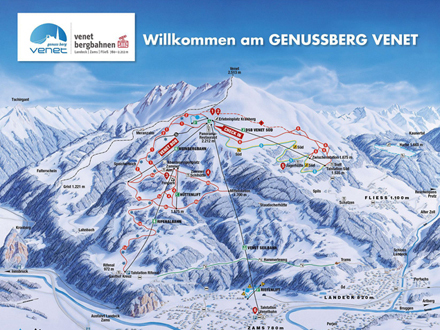 The ski area of Venet is on the meeting point of three valleys above the village of Zams and Landeck. 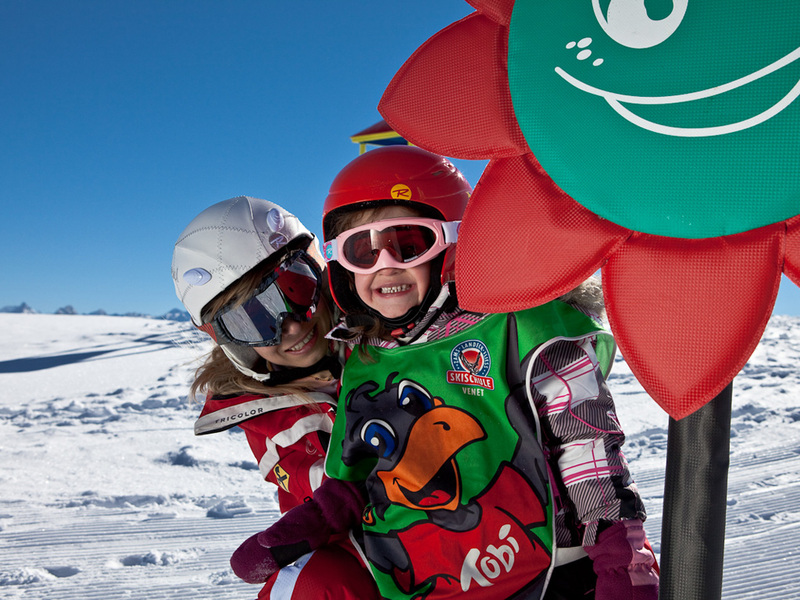 Families with young children in particular will appreciate this ski area. From Zams, in a matter of minutes, a cable car will carry you to the top of the Krah mountain at an altitude of 2212 metres. This area is home to 22km of slopes. And if you looking for more of a challenge, the Ski 6 pass is what you need, giving access to the surrounding villages and ski areas where another 260km of slopes are yours to discover. Here, you will also discover unique panoramic views of the entire Tyrol region. 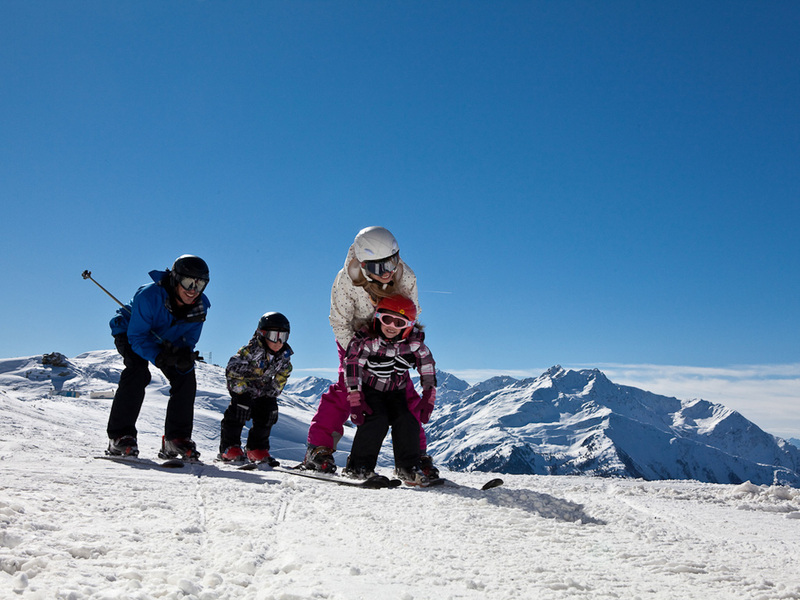 The ski area of Venet which reaches up to just over 2200m offers 22km of well-prepared slopes served by 7 lifts. Off the beaten track, there are some wonderful freeriding conditions with the best slopes on the north and south faces of the Venet. 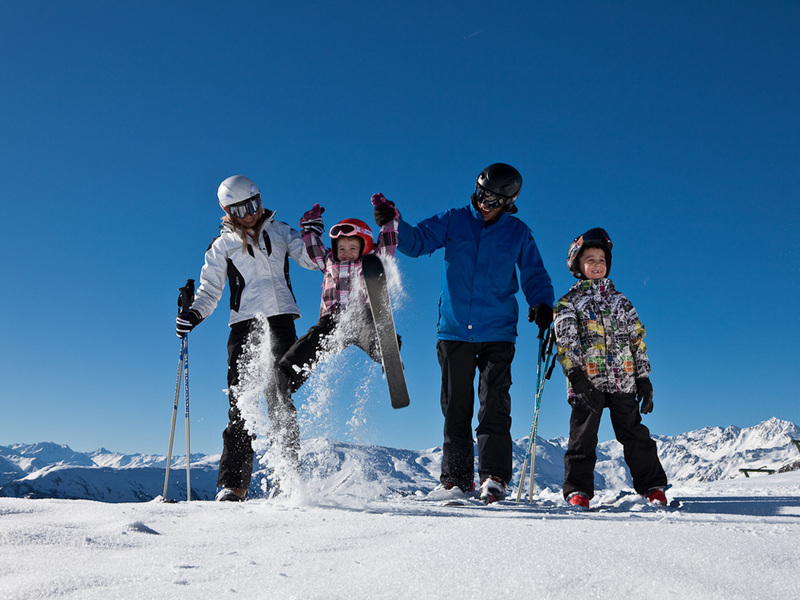 There is a dedicated practice area for children as well as plenty of other activities to keep the younger holiday makers happy on their ski holiday. 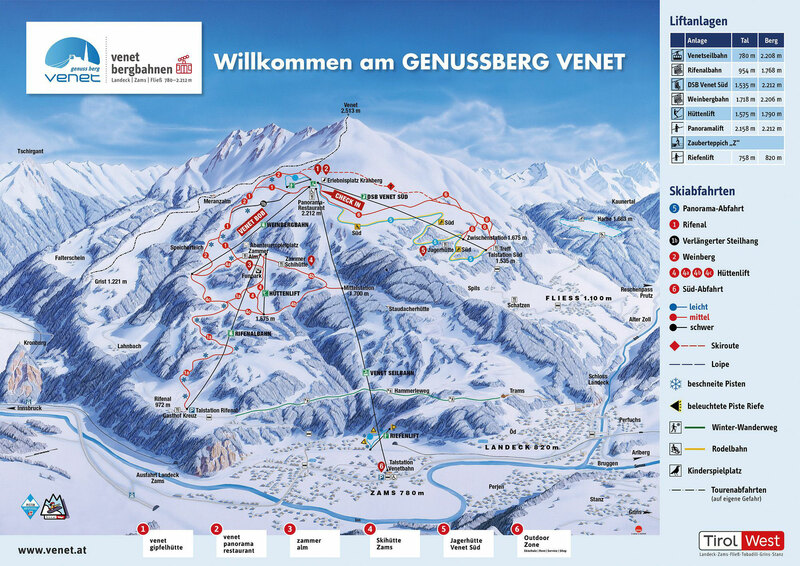 The information applies for the ski area of Venet. During the ski season information is updated daily.